"This is a great way to serve a gourmet treat to your guests. Spread it on your favorite crackers, bread, veggies -- whatever you like. It's great inside savory tuile shells." 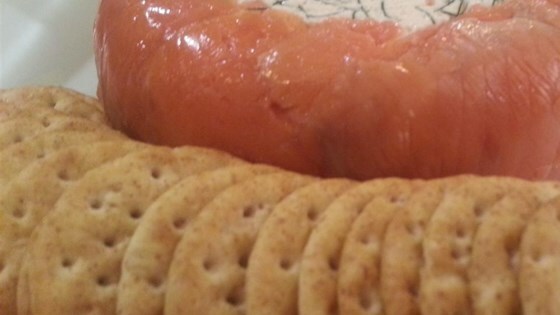 Place smoked salmon in a blender or food processor, and blend until smooth. Mix in heavy cream, cream cheese, juice of half of a lemon, dried dill weed, salt and pepper. Blend to desired consistency. Transfer to a medium serving dish, and garnish with salmon roe. My first attempt came out very bland. If I try again then I'll add more and better quality smoked salmon. Great recipe. I served it on cucumber slices. Omitted the salmon roe. It was the hit of my Christmas party - not one lick left in the dish! Added horseradish as suggested, plus a couple of drops of Tabasco and it was irresistible. Thank you. I omitted the lemon juice and added a clove of garlic. Delicious on bagel chips. Big hit at a New Year's Eve party! I omitted the salmon roe and added capers and horseradish. Everyone loved it! Easy, simple and good.. if garnishing with caviar the black ink seems to bleed in, Bring out of fridge about 30 mins or so before, so it can soften up a tad.